Bug fixes from the 2.00 / 2.0.0.0 update. 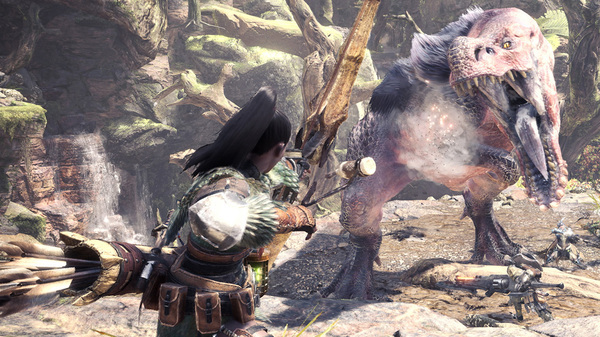 Capcom has released the version 2.01 update for the PlayStation 4 version of Monster Hunter: World and 2.0.0.1 update for the Xbox One version. Get the patch notes below. From the default cursor position, the item pouch order when checking equipment info will be from left to right. Next, the fixed items will appear in the following order, left to right: Whetstone, Capture Net, Fishing Rod, and BBQ Spit. The last items will be the specialized tools, listed from left to right. Monster Hunter: World is available now worldwide for PlayStation 4 and Xbox One (the Xbox One version is only available in North America and Europe). A PC version is due out this fall.